I wanted to start this week off right- with a blog post filled to the brim with sparkles and pretty little things. 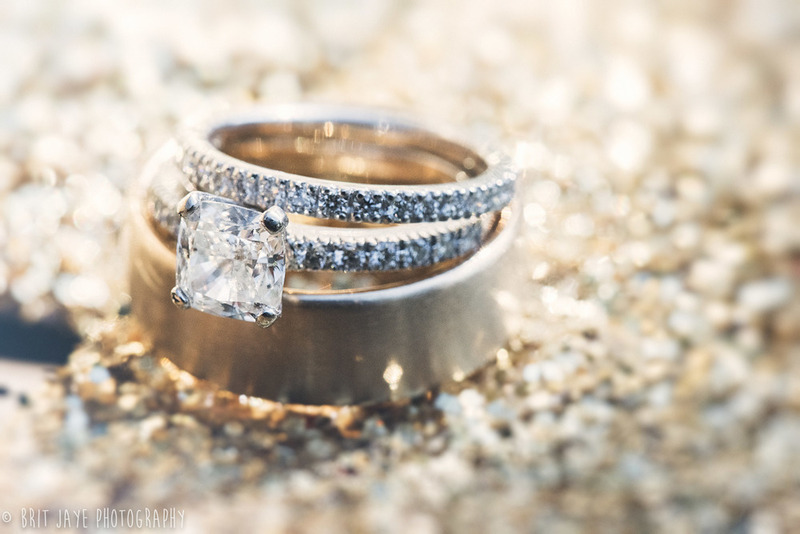 One of my favorite things to photograph, whether its at an engagement session or on the wedding day, is the ring photo. I love to incorporate the ring into its environment, which gives the viewer just a little bit more of the story. Engagement ring photos really tend to take on a life of their own, and every image is unique. It's a great photo to make sure you get (add it to the list, or tell your photographer! ), because just like their owners- the rings sometimes change a bit over time, even sometimes becoming fused to us- unable to be easily removed, without the help of a tub of grease. Wouldn't it be nice to have a beautiful photo of the inscription buried on the inside of your wedding band that you can no longer remove? I even have more than one friend who has lost their ring somewhere along the line. A photo of it then becomes much more precious, when its all that is left. My own husband is on his second wedding band, after the first was damaged beyond repair, after it chemically reacted with something while he was at work. Having a photograph of the original rings that were present on the wedding day is truly priceless, even if they become fused to your finger before ever having the chance to chemically react with art supplies. A professional wedding photographer will have the proper gear and know-how to capture an up-close, artistic shot of your gorgeous rock, but beware- if you are thinking of hiring a friend-with-camera, this may be out of their wheelhouse. Make sure to ask if you are unsure whether or not your photographer will be able to really zoom in to the tiniest of details on your big day. We use a professional macro lens specifically so that we can tell your story beautifully, down to the tiniest detail. Looking for a photographer to capture your San Diego wedding & engagement? Get in touch! I'd love to hear all about what you have planned.